141 Years Since the Liberation of Bulgaria | Non-profit association "THE BUSINESS FOR PLOVDIV"
On March 3rd, 2019, Bulgaria marked the 141st anniversary of its liberation from Ottoman Rule. The celebration in the city of Plovdiv traditionally took place in front of the Monument of Russian Liberators on the top of the Hill of the Liberators. 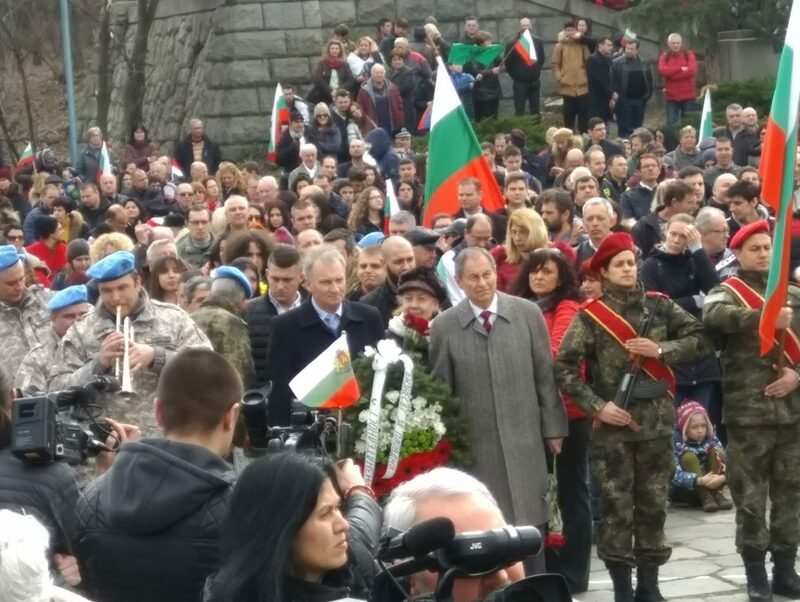 As a sign of acknowledgement to the heroes who gave their lives for the freedom of Bulgaria, the chairman of “Business for Plovdiv” Atanas Rogachev and former chairman Lyubozar Fratev – on behalf of the entire Association – laid a wreath at the Monument of the Liberators. Non-profit association "THE BUSINESS FOR PLOVDIV". All rights reserved.